If you are interested in supporting the University of Manitoba’s Steel Bridge Design team in the competition, please email us and see the sponsorship package below. Our team would like to extend a special thank you to all of our current sponsors. We wouldn’t be able to compete in this exciting competition without your generous support! Established May 2008, The Friends of Engineering are a unique group of Manitoba industry influencers who share the U of M Faculty of Engineering’s commitment to excellence in engineering education. 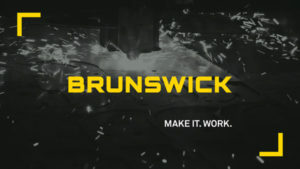 Our mission is to be the strong, collective voice of Manitoba industry, advocating for the growth and health of the Faculty of Engineering at the University of Manitoba to enable the Faculty to continue to provide the world-class engineering graduates necessary to sustain and grow the wealth of this province. Dillon is a proudly Canadian, employee-owned professional firm with over 700 staff specializing in planning, engineering, environmental science and management that partners with clients to provide committed collaborative and inventive solutions to complex, multi-faceted problems. With 17 offices throughout Canada, Dillon is founded on the knowledge, passion and relentless pursuit of the best solution for our clients. Since being founded in 1946 in London, Ontario, we have never stopped innovating, growing, building and leading towards a better tomorrow. 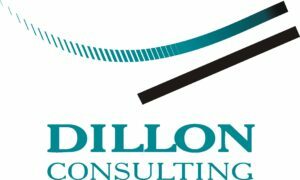 Dillon is a long standing recipient of Canada’s Best Managed Companies award and currently a Platinum member. By working closely with our clients and developing a good understanding of their goals and objectives we are able to provide innovative solutions that are practical, fit-to-purpose, and cost-effective. Our sustainable design strategies include various practitioners certifications in LEED and ENVISION, who make these design principles part of their design consideration to meet the specific requirements. Quanta Services is a leading specialized contracting services company, delivering infrastructure solutions for the electric power and oil and gas industries. Quanta’s comprehensive services include designing, installing, repairing and maintaining energy infrastructure. With operations throughout the United States, Canada and Australia and in select other international markets, Quanta has the manpower, resources and expertise to safely complete projects that are local, regional, national or international in scope. For more information, visit www.quantaservices.com . Plenary Roads Winnipeg (PRW) is a consortium of top-tier developers and contractors, including Plenary Group and PCL Constructors Canada Inc., all of which have an established presence in Winnipeg and a solid reputation for delivering challenging infrastructure projects on-time and on-budget. PRW is thrilled to be delivering Winnipeg’s Southwest Rapid Transitway (Stage 2) project, and to be supporting teamwork and collaboration among future engineers through the University of Manitoba’s Steel Bridge Society. We’re no strangers to diverse and challenging infrastructure projects. 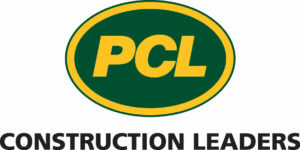 Plenary Group has become North America’s leading specialized developer of long-term partnership projects, with a project portfolio of CAD$17.5 billion across both Canada and the United States, including 32 projects in the health, transportation, defence, justice, education and government accommodation sectors. We are an independent long-term investor, sponsor and operator of public infrastructure and we adopt a holistic approach to delivering our projects by embracing finance, planning, design, construction, complementary commercial development and asset management operations. Plenary creates community assets that offer value for money for governments and taxpayers, and we actively manage the performance of our projects with an uncompromising focus on lifecycle performance. Governments and public sector agencies look to our team to be a trusted and authoritative voice in undertaking public infrastructure that meets the genuine needs and aspirations of a community.